New home under construction in a brand new community, ''The Landing at Lewis Creek Estates.'' 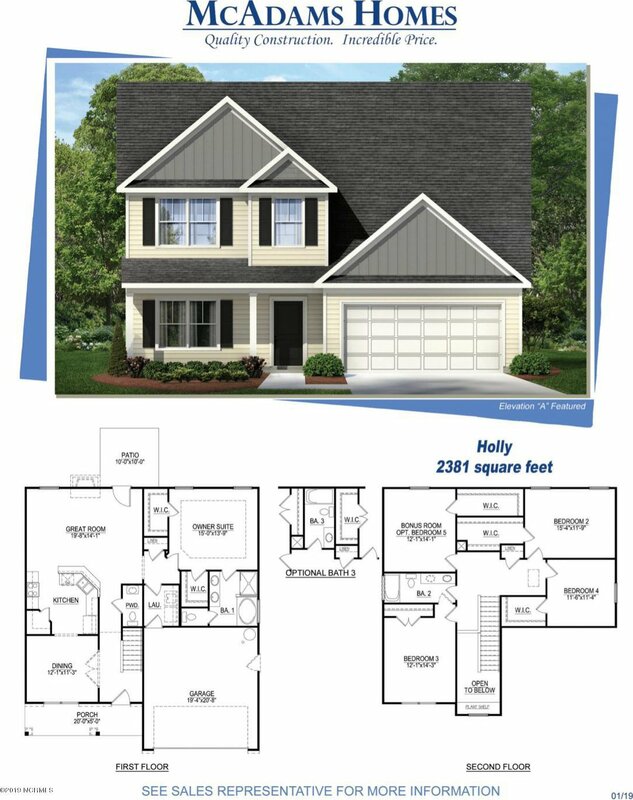 The ''Holly'' is a 2-story home with over 2300 sq. ft. plus a double car garage located on an end premium lot. Five bedrooms and 2 1/2 baths. Amenities include sidewalks, 5 ft. mulched walking trails and green space.